Our love for fashion makes us overlook many environment-related issues. Over the years, I have been more of a watchful buyer… buying things I need and will definitely use. If not, I make it a point to recycle. How often do we think about the cloth or the effects of chemicals on the environment in our love for designer labels? 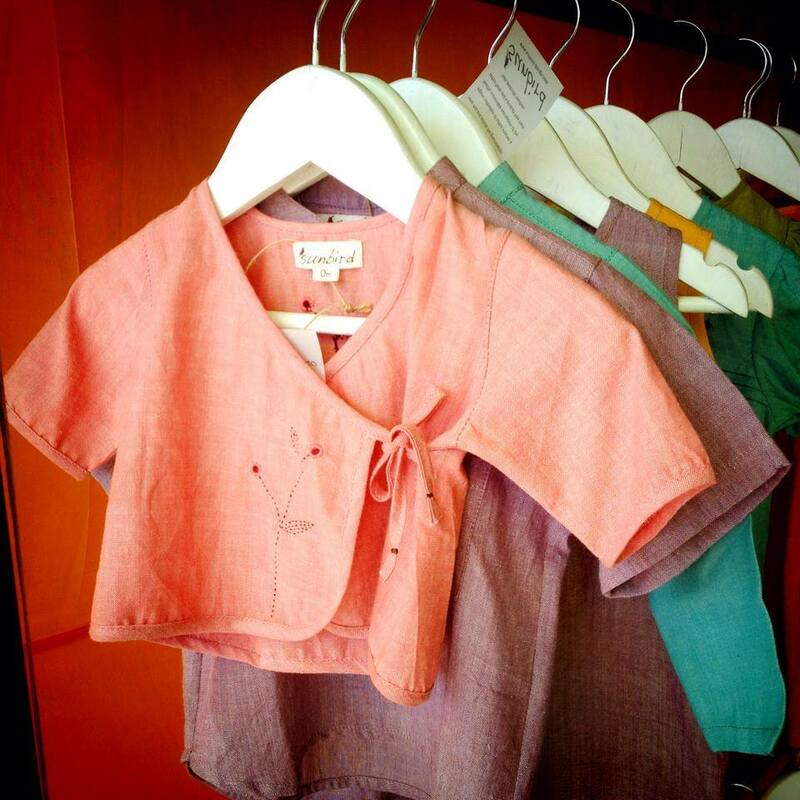 Sunbird, driven by textile designer – Ms. Karin Kock, is a label that brings the importance of organic cotton textiles to the forefront. Handcrafted by rural artisans, the label adheres to GOTS (Global Organic Textile Standards) certified organic cotton yarns. This label includes a pretty display of handloom products, made by the talented women weavers in South India. This not only supports their livelihood, it also gives you the joy of using handmade products that are gentle on Mother Nature. 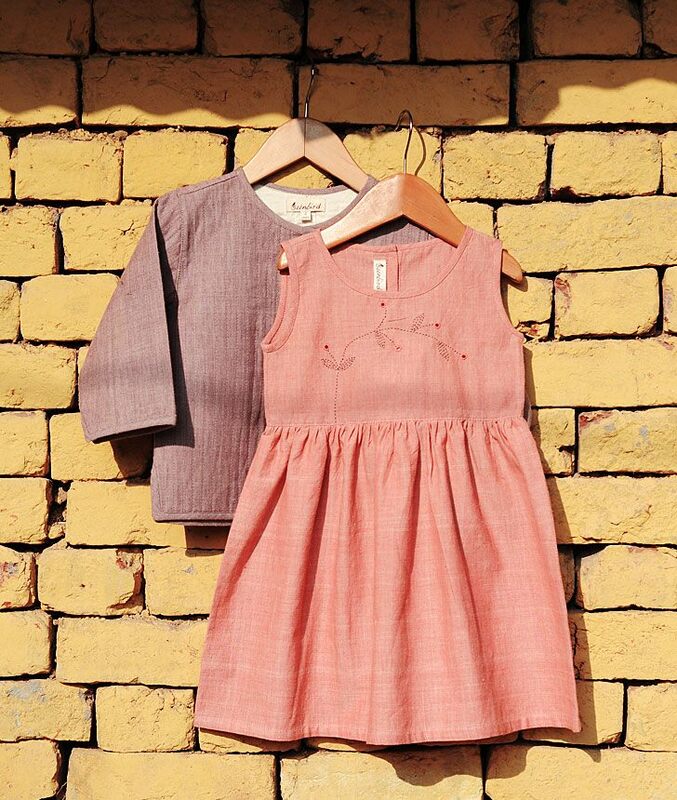 Pretty Dresses for little ones! Currently, Sunbird has an interesting array of fashionable baby clothing, cushion covers, bath towels and more. Ms. Karin will also email a detailed catalogue on request!